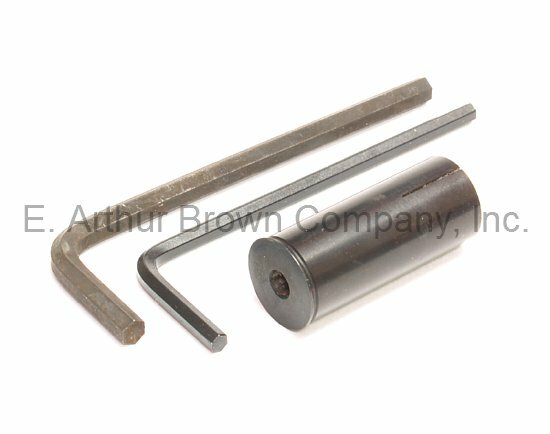 This Adjustable Diameter Hinge Pin can improve the lock-up of your TC Encore, Pro Hunter, or Endeavor. It gives the tightening effect of a larger pin without the potential for damage and without giving up your barrel interchangeability. 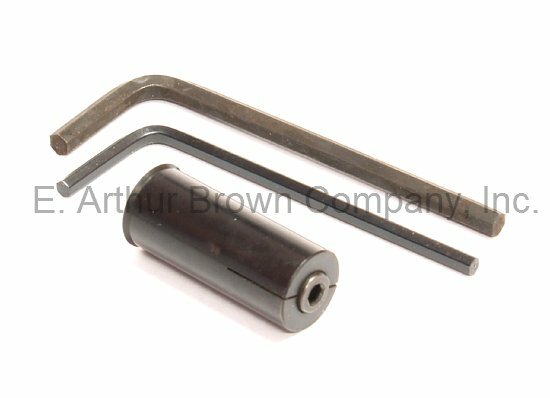 This Adjustable Encore Hinge Pin requires no modification to your gun or your forend. Just slip it into the hinge pin hole as you assemble your Encore frame and barrel. Then, use the two Allen wrenches (included) to tighten the pin and lock it into place. We have a complete line of barrels, frames, and accessories for the TC Encore... Factory and Custom. Visit our Thompson Center Web Page. Bought as a backup just in case I needed a new pin. Have not used it yet but product looks like it would be easy to use and work as I need it to. It tightened the barrel to the receiver. I’m now shooting 1/2 moa with a .25-06 and sub moa with the muzzleloading barrel. It definitely does as advertised. I recommend it! Looks good but haven't tried it yet, so I can't rate it. I was hoping to stop the pin from moving sideways in the action. A great way to increase accuracy and insure the frame/barrel stay perfectly aligned. The best price I have seen and the best quality. I will be buying more. Did the pin work as advertised.yes and no.worked very well on my eabco 6.5x47 lapua , no change in the same .243 barrel. .243 is most likely an issue with Berger VLD bullets. I've had some inconsistency in bullets lately. Barrel shooting great with match kings though. They work very well at taking the wobble out making the barrel close straight and lock up tight. Being adjustable, they work with any barrel and frame.